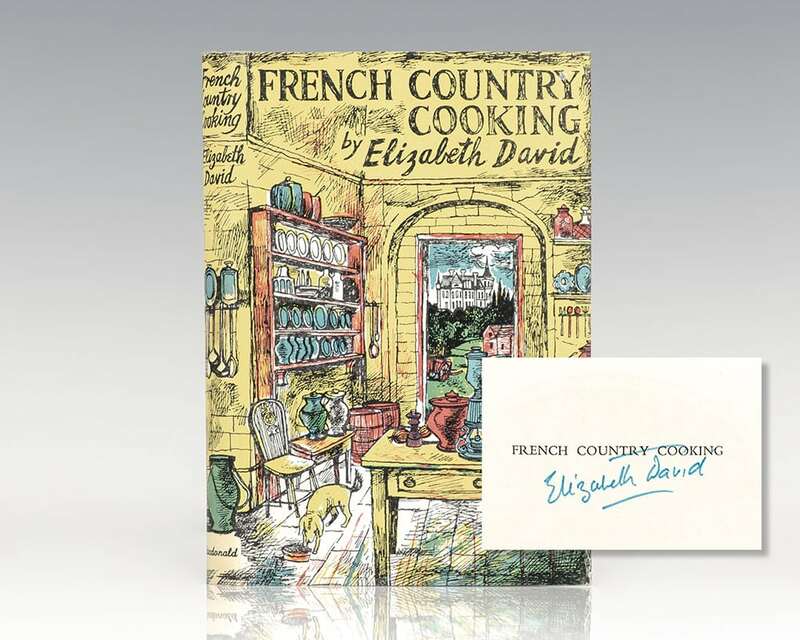 David, Elizabeth; Drawings by John Minton. .
First published sixty years ago while food rationing was still in force, Elizabeth David used this book to introduce to the nation’s bland palate, ingredients and recipes previously undiscovered in postwar Britain. Many people of that era had never experienced anything other than British cooking – meat, two veg and a nice steamed pudding. She starts by setting the record straight: ‘Those who care to look for it will find the justification of France’s culinary reputation in the provinces, at the riverside inns, in unknown cafés...in sea port bistros...and nowadays in cafés routiers, the lorry-drivers’ restaurants. In such places the most interesting food of France is to be found.’ From having lived with a French family while studying over there, she was able to bring firsthand knowledge to this short yet concise guide to provincial French cooking. She starts with a chapter on the Batterie de Cuisine. But it’s the collection of regional recipes that follow that made this book such a treat for 1950s Britain; divided into sections on soups, fish, eggs, luncheon, supper and family dishes, meat, poultry, game, vegetables, salads, sauces and sweets, she gives an entertaining and informative introduction to each.